Richard Jeck collected 30,000 miles of valuable measurements from cloud physics researchers in universities and government laboratories in the U.S., Canada and Europe. TUCSON, AZ, October 12, 2018 — Marquis Who's Who, the world's premier publisher of biographical profiles, is proud to present Richard Jeck with the Albert Nelson Marquis Lifetime Achievement Award. An accomplished listee, Richard Jeck celebrates many years' experience in his professional network, and has been noted for achievements, leadership qualities, and the credentials and successes he has accrued in his field. As in all Marquis Who's Who biographical volumes, individuals profiled are selected on the basis of current reference value. Factors such as position, noteworthy accomplishments, visibility, and prominence in a field are all taken into account during the selection process. The story of Richard K. Jeck, Ph.D (physics) is one example of a 40 year scientific career with the federal government. Dr. Jeck was a research physicist at the Naval Research Laboratory (NRL) (footnote 1A) in Washington, DC from 1970 to 1990, and a research meteorologist at the Federal Aviation Administration (FAA) Technical Center near Atlantic City, NJ from 1990 to 2010. It was during the last 30 years that Jeck achieved his greatest accomplishments, namely the collection, analysis and practical application of nearly 30,000 miles (footnote 1B) of research quality measurements of winter cloud properties. The purpose was to vastly improve understanding and statistics on conditions causing ice to form on aircraft passing through. This was a major concern for the FAA and commuter aircraft manufacturers and operators in the 1990s when several of these airplanes crashed in what appeared to be unfamiliar freezing drizzle or freezing rain. 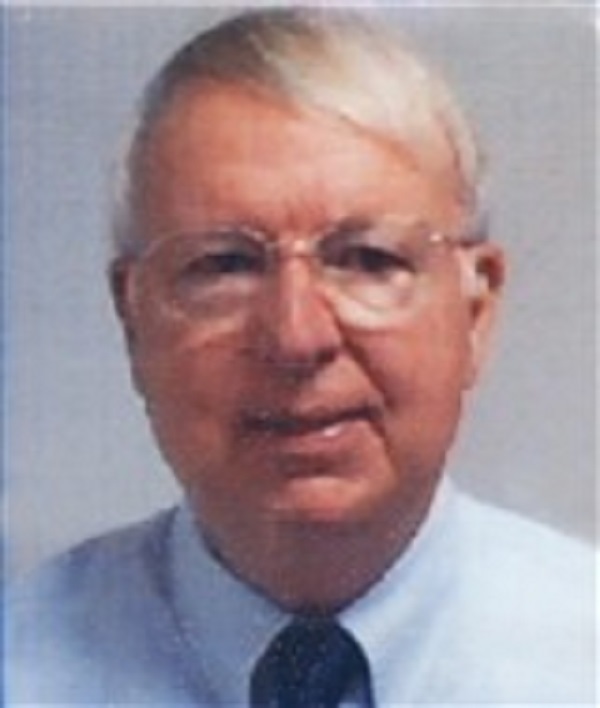 Dr. Jeck joined the Atmospheric Physics Branch at NRL in 1973 with the assignment of installing and operating their newly acquired cloud droplet size spectrometers , an ASSP and an OAP (footnote 1C), from Particle Measuring Systems (PMS), Inc of Boulder, Colorado. NRL was one of the first customers for these revolutionary, laser-based cloud physics probes designed for airborne use. By 1979 Dr. Jeck was the head of the Experimental Cloud Physics Section at NRL with much experience in installing, operating, calibrating (and trouble-shooting circuits for) a variety of cloud and atmospheric physics probes mounted on research airplanes, ships at sea, and on a meteorological tower. This also involved analyzing the data streaming from all of these probes and sensors, including learning to recognize artifacts, malfunctions, miscalibrations, interference, and other contamination that may affect the data. It was in early 1979 that the FAA was looking for a suitably experienced flight research group with their own research airplane(s) to study low-level (below 3 km (10,000 Ft)) icing conditions with modern instrumentation. Learning that NRL had such a group right there in Washington, DC, the FAA program manager, Mr. Art Hilsenrod, contacted Dr. Lothar Ruhnke, the manager of the Atmospheric Physics Branch at NRL, to see if there was any interest, ability, and availability for doing the flight research. The answer was yes to all three questions. Dr. Jeck was assigned as the Principal Scientist for the project at NRL. • to learn any other facts and information that may be needed or helpful. But it was clear after the first winter icing season, that a single research airplane, limited to two weeks of availability per season due to competition from other groups with higher priority, could not possibly collect enough icing cloud data for the needs of the FAA project. So the project began to solicit suitable flight data archived by other research establishments with adequately instrumented airplanes which had operated in clouds above the freezing level for other purposes. Many facilities responded and by the mid 1980s, 7,000 nautical miles of reliable, quality-assured, modern measurements of cloud water content, dropsizes, air temperature, and sometimes icing rate and other useful variables were in hand. Top contributors were the University of Wyoming, JTD Environmental Services, Inc., Deutsche Forschungsanstalt für Luft und Raumfahrt, and the Atmospheric Environment Service of Canada. Jeck eventually collected 30,000 miles of valuable measurements from cloud physics researchers in universities and government laboratories in the U.S., Canada and Europe. This is the largest database of its kind ever assembled. Why was all of this data needed? To icing practitioners, Appendix C is the familiar name for six graphical drawings, in the United States Code of Federal Regulations (CFR), showing the federal standard limits (envelopes, or extreme values) for icing cloud variables. These limiting envelopes include: sub-freezing air temperature vs altitude; sub-cooled cloud water concentration vs cloud droplet size and in-cloud air temperature, and horizontal extent (duration or distance) of the in-cloud exposure. These are the principal atmospheric variables contributing to the formation of ice on the surfaces of an aircraft flying through sub-cooled clouds. Sub-cooled clouds, super-cooled cloud drops, or supercooled liquid water content (LWC) all refer to the fact that, under certain conditions, individual cloud drops may not freeze to solid ice even though the surrounding air temperature decreases below 0C (32F). However, these droplets can instantly freeze on mechanical contact with a passing aircraft, thereby gradually building up a coating of ice on the forward surfaces. For types of airplanes which are to be all-weather capable, the airplane has to be certificated by the Federal Aviation Administration (FAA) (in the U.S.A) for flight in icing conditions. This means that the airplane manufacturer has to install and test the required ice protection equipment on the airplane. The equipment typically consists of adequately heating the leading edge of the wings and the tailplane, using hot bleed air from the compressor stages of the engines on jet-powered planes. Propeller driven airplanes usually have an expandable rubber “boot” affixed to the leading edge of the wings. When ice begins to form on the boots, they can be expanded periodically to break off and remove the accreted ice. Ideally, flight testing in natural icing conditions is a desired or required part of demonstrating the adequacy of the ice protection equipment. Research has established the range of values of LWC, droplet size, and in-cloud air temperature where droplets can remain naturally unfrozen such that icing is possible. The limiting values of these variables form the boundaries of the graphs in Appendix C.
Although the six graphs in Appendix C look simple enough, there is some confusion and mis-understanding about how to use them. What was learned from the new database? After Dr. Jeck transferred from NRL to the FAA Technical Center in 1990, he became known, informally, inside and outside of the FAA, as the expert on understanding the mysteries of the icing environment and the correct way to relate icing test data to Appendix C.
To clarify the proper procedure, Dr. Jeck prepared an informal, 5-page, “Icing Information Note” which pointed out the problems and gave examples of correct usage. He began receiving letters, phone calls and e-mails asking many other questions about icing conditions. In response, Dr. Jeck wrote more Icing Information Notes on other icing-related topics until there are now dozens of them designed to provide icing practitioners with ready references on the fundamentals. They were prepared in response to requests from the field, or to clarify known areas of confusion in the interpretation and application of icing data and the technical literature. There is even one Icing Information Note that explains the difference between the Russian and Western versions of Appendix C.
Introducing a More Convenient and Versatile Version of Appendix C.
All along, new measurements in icing clouds were streaming in from NASA/Lewis, Univ North Dakota, Environment Canada, Univ Washington (in Seattle), and others and government facilities that had research airplanes with the needed expertise and equipment. In order to compare all of the accumulating new data with Appendix C, the LWC vs MED envelopes (App. C, Figs. 1 and 4) had to be replaced by equivalent LWC vs Horizontal Extent (HE) envelopes. He showed that these LWC vs HE graphs turn out to be much more convenient, practical and understandable for comparing and judging icing exposures from test flights, icing tunnels, and even from computer modeling runs. As a result, several AIAA papers and FAA Technical Reports were written to introduce this important new data presentation technique and to illustrate its use and benefits for analyzing icing cloud or spray exposures, including for certification purposes. Discoveries and Insight from the New Collection of Icing Cloud Measurements. Besides these Icing Info Notes dealing with Appendix C, several AIAA papers, FAA Technical Reports, and meteorological Journal articles were published based on new findings from the greatly expanded icing cloud database. In recognition of outstanding contributions to his profession and the Marquis Who's Who community, Richard Jeck has been featured on the Albert Nelson Marquis Lifetime Achievement website. Please visit www.ltachievers.com for more information about this honor. 1A – NRL is the first government sponsored, military research facility. It was founded in 1923 at the suggestion of Thomas Edison after WW-1. Radio was still being developed at that time, and the Navy was experimenting with radio transmitters and receivers installed on ships so that they could communicate to shore and at sea even when they were out of sight. Nowadays, NRL does research in many fields, including electronic warfare, ocean science, space science…they built the first GPS system which got its super precise time signals from the Naval Observatory. 1B – This amount of data was generously donated by other active research groups who had properly instrumented airplanes used for cloud seeding or other purposes. Principle donors were the Universities of Wyoming, Washington, and North Dakota; government laboratories NASA/Lewis, National Center for Atmospheric Research (NCAR), Environment Canada, Deutsche Forschungsanstalt fur Luft und Raumfahrt (Germany), Laboratoire Associe de Meteorologie Physique (France), Alberta Research Council (Canada), MRI/JTD Environmental Services, Inc. (U.S), and others. 1C – The FSSP and ASSP probes detect and count ordinary cloud droplets in the size range 3 to 45 µm (micrometers) diameter, and the OAP detects and counts drizzle-sized drops in the 30 to 300 µm range. Each probe counts the detected droplet in the corresponding one of 15 size sub-intervals that together spann the probe's dropsize range.